Jesus, You affirmed that “unless a grain of wheat falls to the ground and dies, it remains just a grain of wheat; but if it dies, it produces much fruit.” But here I stand, unwilling to let go of my silly hurts, my foolish pride, and my favorite sins. 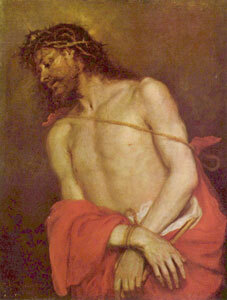 I look to You, Jesus, on the cross You embraced to draw me to Yourself. Help me to open my heart to the outpouring of Your love so You can transform me into the person God created me to be. I know it will not be easy, but that is what Lent is all about. Today’s reading tells me that You learned obedience from what You suffered, and when You were made perfect, You became the source of eternal salvation for all who obey You. Teach me to suffer and to learn alongside You; write Your law of love upon my heart so I can truly see myself as a child of God, my Father. Then I will be able to pray with You, “Father, glorify Your name,” and know that You are with me to help me do the Father’s will.